The urban areas are growing in size and the number of trees influenced by city life is leading to deforestation. 2.8% of tree canopy cover in the U.S is in cities. The city trees have to deal with every different growing conditions than trees in more rural areas or old forests. Cities have flagrant heat islands. Carbon dioxide levels are higher due to greater car exhaust and prevalence of cars and fertilizers increases pollution runoff. Changing the soil's nutrient availability. Universities of California and Washington tried to find out how trees adapter to non urban lifestyles by comparing forest patches within urban Seattle in rural areas outside the city. The air temperature and soil nitrogen are measured. As the proxy for nutrients. The growth rate of western red cedars are also measured by counting tree rings and circumference and counted seedling in the three forest types. As a result the environmental in urban and rural forests were distinct. Both air temperature and soil nitrogen were higher in the city. However, the benefit of seedling growth as they do adult trees, baby plants are very sensitive to soil moisture. Which would be more prone to dehydration because of the increase evaporation under warm climates. An extra shot of nitrogen could overwhelm seedlings and kill them. Researchers said it was hard to tease out why seedlings failed to grow in developed areas. It may be cause of increased air temperature and nitrogen. It could affect these such as reduced soil moisture. 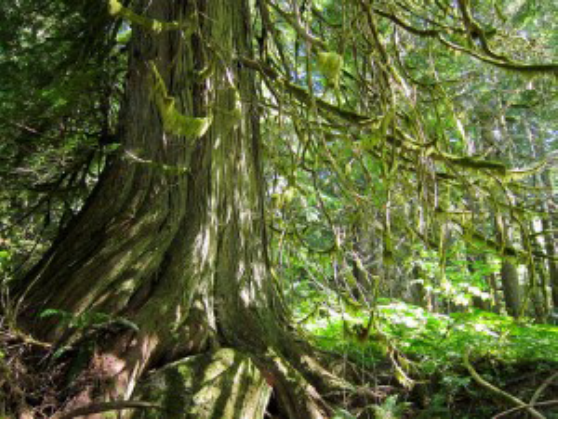 If environmental changes prevent it from reproducing successfully, its possible that it will no longer be a common species in mature urban Pacific Northwest forest. In my opinion. i think it'll be better if we just let the forest live in their own without humans touching and killing them. The nature has their own lives, the chain would go on if humans don't affect them. I chose this topic because i love learning about the trees, i want to know how we could save them. We must stop cutting them faster then they regenerate. We should let them replenish because it takes longer if we need them and wait for them to regrow.